Our ethos at Ecological Building Systems UK Ltd is to achieve 'Better Building' by adopting a 'Fabric First' approach to design, with the use of more natural materials to optimise building performance and durability. We deliver quality products with full technical support. Our focus is to deliver building products that achieve 'diffusion open' buildings. Forming strong relationships and networks with our European partners, the first products that Ecological imported was the pro clima range of airtight and windtight building products. 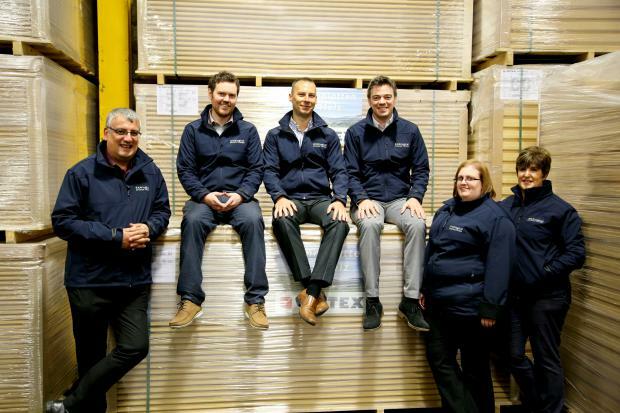 The company then went on to establish itself as sole importers of some of the highest performing, quality natural insulations available on the market. At Ecological we back up our high-quality goods with a technical service second to none. Our dedicated teams in Ireland and the UK support specifiers, home owners and contractors to achieve their goals to build healthy, durable constructions. As sole importers of the building products we offer, we endeavour to stock and efficiently supply as broad a range as possible from our own warehousing. We have extensive warehouse and distribution channels in both Ireland and the UK to ensure that our supply chain is serviced. Our pro clima range of airtightness and wind tightness products are supplied through a network of stockists, who have been trained by ourselves and are fully supported by our technical support team. We are not a large corporate team at Ecological and although we are small, we do always strive to offer the best possible service to our customers. Where possible we try to respond within 24 hours, even if it is to acknowledge receipt of your technical request or query. We will ship our goods as quickly, safely and efficiently as possible and endeavour to meet your deadlines. We are proud to be members of the organisations shown on the bottom of our website. This website is the copyright of Ecological Building Systems 2015. All Rights Reserved.